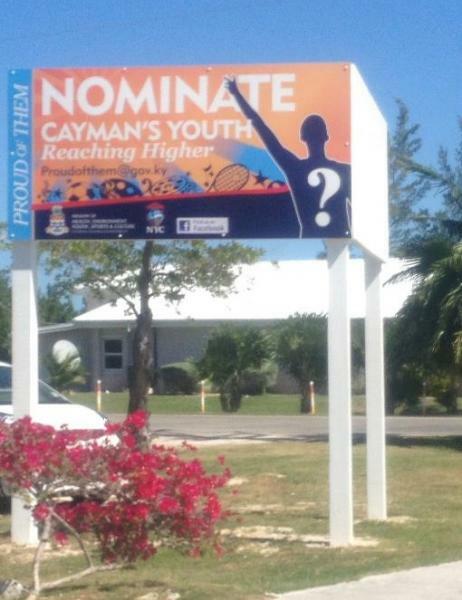 (CNS): Another dozen young people in Cayman have been nominated in thegovernment’s second round of the Proud of Them initiative. The programme shines a spotlight on the achievements of the recipients in a number of different categories. The latest names were announced last Thursday and the young people will soon see their faces around the island on billboards for the next six months. The minister with responsibility for youth issues Osbourne Bodden said he was pleased to see the community has embraced the Proud of Them initiative. “Showcasing the positive achievements of our young people demonstrates to them that hard work does pay off,” he pointed out. Through a public nomination process, the Proud of Them initiative recognises youth, between the ages of 10 and 25 years for reaching a significant level of success in academics, business, sports, culture, community service or their career. Nominations are encouraged from each district to ensure that young people in each area can identify with those who are selected. Officials believe that this recognition programme will empower high achievers to continue their efforts, while inspiring others to follow in their footsteps. (CNS): During this year’s International Scuba Diving Hall of Fame awards two local men will also be honoured for their outstanding contributions to the Cayman Islands dive industry. Capt Glen Gleason Ebanks and Norbert Scott will both be recognized during the ceremony taking place on Tuesday 12 November. Deputy premier and tourism minister, Moses Kirkconnell, said it was an honour to have the two local pioneers inducted into the ISDHF. Founded in 2000 by the Cayman Tourism Ministry and the International Scuba Diving Hall of Fame (ISDHF), dive enthusiasts come together on an annual basis to recognise those who have dedicated their lives to the positive development of the sport and the industry. 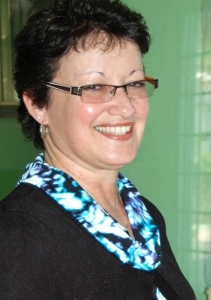 Consequently, at the gala event, the two local honourees will join Rolf Schmidt & Petra Roeglin, Paul Bert, Dr Guy Harvey, Bert Kilbride and Sam Davison as the 2013 Hall of Fame inductees. Captain Glen Gleason Ebanks: Affectionately known as Captain Gleason, he was born 28 August 1928 to Elvin and Florence Ebanks. At the tender age of 14, he took his first sea voyage to Nicaragua on the turtling vessel, the Jemson. Due to his young age he was given the nickname "Young Captain" and embarked on numerous other fishing and turtling trips on board the Antaraus and the Wilson, amongst others. As a young adult he gained invaluable experience and joined the bigger fleet tanker companies, such as the Southwell and Matyson. These trips were very lengthy at times and Captain Gleason was away from Cayman for extended periods of time. However, he always maintained a close relationship with his family. 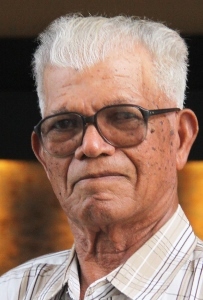 Although he enjoyed his voyages, his heart was at home and he returned to assist his wife, the late Greta Ebanks, with the rearing of their children. Being an ambitious and knowledgeable man, he established his own boat business catering to the tourism industry by providing North Sound fishing charters and beach lunches. Captain Gleason was also one of the founders of the popular Stingray City. At the age of 85, Captain Gleason still enjoys the open water and operates his 53 foot boat known as the "Seafire" offering charters. Norbert Scott: Having been introduced to diving at the age of 14 by Ken Martin in Little Cayman, Norbert Scott became a certified dive master at the age of 18 while working with Brac Aquatics. 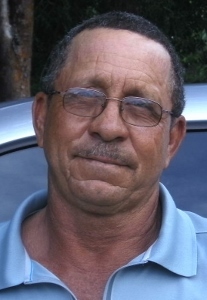 His diving career spanned 20 years, during which he assisted in setting up dive operations for Sam McCoy at Pirates Point and Craig Burns at Dive Tiara. He made approximately 15,000 dives in his career. Scott, along with fellow dive masters, Ken Scott and Cornell Burke, and the Department of Environment Marine staff established the first permanent dive moorings in Cayman Brac. Scott was a popular dive master and well-liked by his regular customers, who continue to ask for him when they visit the island. His favourite dive sites include West Chute, Wilderness Wall, Greenhouse and Elkhorn Forest in Cayman Brac; Jackson Wall and Bloody Bay Wall in Little Cayman. He also has the distinction of having a popular dive site named after him in the Brac: Norbert’s Reef. Members of the public are encouraged to attend this gala event to support these innovative pioneers. Tickets can be purchased at the Cayman Islands Department of Tourism. Tables of 10 are also available at a discounted rate of purchase 9 and receive one ticket free. For more information the International Scuba Diving Hall of Fame, please visit the website at www.scubahalloffame.com or contact the Department of Tourism on 949 0623 to purchase tickets. (CNS): Ormond Williams the president of Cayman National Bank and a longstanding supporter of the University College of the Cayman Islands will be delivering the commencement speech to a record-breaking number of students at the college this weekend 93 students will participate in the formal graduation ceremony from 139 for the 2013 class. Williams’ banking career spans some 32 years in Barbados, Belize, and the UK and he is an accredited lay preacher in the Methodist church in the Caribbean and the Americas. He is also a lay pastor and elder in the United Church here in Cayman. The UCCI president Roy Bodden will also address the students on the progress that UCCI has made during the last academic year. This is the second graduation ceremony to be held during the fall semester due to scheduling changes to enable students to have the benefit of summer courses to complete their requirements for graduation. The bulk of students are from the associate two-year degree programme and many are overseas continuing their education so ninety-three students will participate from the total number of 139 graduates. Aside from associates degree graduates however there are also two master’s degree students from the Master of Human Resource Management and the Professional Master of Business Administration programmes Tracy Ebanks earned a GPA of 4.0. She is one of only two students to accomplish that feat among this group of graduates and Lisa Kelly is graduating from the Civil Service College with an Associate Degree in Public Administration. The graduation ceremony commences at 6:30 pm on Thursday. Members of the public are asked to take their seats by no later than 6:15 pm. (CNS): Football in the Caribbean is to form the focus of a new task force being developed by CONCACAF to examine the feasibility and sustainability of the Caribbean Professional League initiative. Addressing participants at the opening of the FIFA Grassroots Com-unity Seminar in St. Lucia at the weekend Vice President and CONCACAF President Jeffrey Webb said the force would soon be named to look at the league and its potential to develop the game in this region“Our focus relies on enhancing the partnership between governments, the private sector and football community in order to foster cooperation,” said President Webb said. CONCACAF will continue its work in the areas of development, referee and coaching education through its solid administration to help shape future generations and enhance the competitiveness of its players. “Football is truly a vehicle of social change, and at the Saint Lucia Football Association (SLFA), our goal is to give the boys and girls as many opportunities as possible to grow through the game of football,” said SLFA President Lyndon Cooper. Delivering on a commitment from the Sports Summit in September 2013, President Webb said that task force members will be named at CONCACAF’s next Executive Committee meeting this weekend in Montego Bay, Jamaica. (CIASA): KPMG is lending its name and support to the November 9th, 33rd Annual Pirates Week 5K Sea Swim, helping the continuity of one of the cornerstone sporting events of Pirates Week and Cayman Swimming. Starting and finishing at The Grand Cayman Beach Suites, the 5K race will attract fierce competition between local and international Open Water swimmers, such as the up- and-coming, Iain McCallum, lining up against InternationalOpen Water sensation, Emily Brunemann. Brunemann, is a four-time FINA World Cup 10K Open Water Champion, 1,650 yard freestyle NCAA Champion, and two-time 1,500 meter freestyle and 10K Open Water USA National Champion. She has represented the United States in multiple international events in Brazil, Japan, Italy, China, Hong Kong, Argentina, Brazil and the Cayman Islands. The 5K event is designed to be spectator-friendly and will be two 2.5k loops, starting and ending at The Grand Cayman Beach Suites. Registration is from 6:15 – 7:10am at the race site; the registration fee is CI$15 for children and CI$25 for adults, and the race begins at 7:30am. All competitors are asked to park in the parking lots across the road. Food will be provided by The Grand Cayman Beach Suites; entertainment and support by the Seattle Seafair Pirates, and there will be plaques for the top three male and female swimmers, age group trophies and medals, and t-shirts for all competitors. The Cayman Islands Amateur Swimming Association (CIASA) is a volunteer, not for profit association dedicated to furthering the interests of all aquatic sports in the Cayman Islands. CIASA is the recognized governing body of aquatic sports in the Cayman Islands and is a member of FINA, UANA, CCCAN and the CIOC. For more information on CIASA please visit www.ciasa.ky. 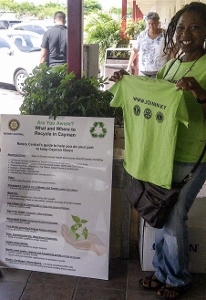 (CNS): Several of local branches of a number of service clubs in Cayman began their go-green recycling campaign in earnest this weekend when they had volunteers stationed at seven grocery stores sites across Grand Cayman. Members from Kiwanis, the two Lions Clubs and three Rotary branches teamed up for the initiative dubbed Join In Recycle. Wearing bright green t-shirts volunteers spread the word about what can be recycled and where it can be recycles the clubs believe that while some people are aware of some things that can be recycled they most are not aware of the full range of service now available for recycling. The service organizations designed a website, Facebook page and twitter account and have loaded it full of information so residents can easily find out what can returned and then join in and take action to keep recyclable items out of the trash. Some 10,000 cards were given out to the public and service club members reported very positive feedback. Three of the main items being promoted for recycling are glass, aluminum cans and plastics (types 1 and 2). Drop off locations for these three types of items are located at Kirks Market and the four Fosters locations from Savannah to West Bay. The more residents who engage in recycling the less stuff will go into the ever-growing landfill. Organisers of the event said Saturday’s promotion was just the start of an ongoing campaign with more events planned to encourage everyone to join in and start recycling in their homes and place of work. To find out more about this recycling initiative visit www.joinin.ky and like their facebook page https://www.facebook.com/joininky or follow on Twitter @joininky. Six prison staff have attended the basic and advanced course in the Alternatives to Violence Programme along with representatives from other government entities sponsored by the CI Government in an effort to combat violence. This programme is based on and centered around twelve concepts that everyone can resolve to adopt on a daily basis such as seeking to resolve conflict by reaching for common ground, listening before making judgments and basing your position on truth and being ready to revise your position when wrong. Others included risking being Risk being creative rather than violent and using surprise and humor as well as patience and persistence. The movement is an international one that was initiated by prisoners in the US in 1975to address the issue of conflict and violence which although a part of daily living does not have to be. It is hoped that in the near future workshops will be an ongoing event in our Prisons. Illustrating the growing local problem with violence prison officials noted that here in Cayman there are people who are considering relocating in order to be safe and those who live here should not have to live in fear. (MO-COMM): Movember 2013 is well and truly underway with well nearly 250 MO Bros signing up for this charity event this year. Movember is the month where guys grow a moustache to raise awareness and money for men’s health issues such as prostate and testicular cancer. A weekend full of fun saw the Grand MO’pening sign-up start on Friday 1st MOvember at Royal Palms. This is traditionally a great event where guys can come together and share tales of Moustaches Past, Present and Future before getting clean shaven to start their month of upper-lip growth. Respect goes to Halo Lifestyle Salon for making sure the shaves were “mmm-so-smooth”. Saturday saw the Movember Family Fun Day with face painting, paddleboarding with DaMO from Watermans, live music from the appropriately named Zipper Envy and the inaugural MO’ MILE – a charity walk-a-thon from Royal Palms to the Ritz Carlton and back. The MO MILE was aimed at the wives, girlfriends, partners and children of those MO Bros growing a ‘tache as a way of showing their support for this very worthy cause. It involved walking along the beautiful Seven Mile Beach from Royal Palms to The Ritz-Carlton (and back). With a backdrop of one of the most dramatic lightning storms seen in Cayman for quite some time the intrepid walkers, bedecked in purple glow-bands and dressed in blue (for boys), set off realizing that the heavy clouds were almost upon them but with true pioneer spirit they carried on regardless and set off. It wasn’t long before the heavens opened. Sometimes you have to show real endeavour and fortitude to support a charity event and these good folks did just that braving thunder and lightning, wind and lashing rain, they stoically finished the walk soaked to the skin but wearing huge smiles. It might have been easier to swim than walk. Maybe the Man Upstairs will shave his beard off next year and grow a MO in honour of the great work these guys are doing. On the Sunday, MO Bros in the East headed to Tukka Restaurant to sign up and ensure that the message about men’s health goes island –wide. I’m sure you’ll see their progress through the month as those moustaches getting bigger, bolder andbushier – more power to their top lip! (CNS): Following his performance in the recent CONCACAF Under 15 Championships midfielder, Ryan Jackson now part of the Under 17 squad team recently travelled to Spain to participate in a number of football academies organised by the prestigious Next Generation Valencia CF (NGVCF) Academy. The ten day training sessions were hosted by the coaches of The Next Generation Sports (TNGS), an entity that specialises in training and development of young football talent. Jackson underwent exhaustive training to improve his physical condition and on-field performance. The programme is an elite project that aims to highlight different approaches in football and promote modern methodology that can be adapted in different cultures around the world. 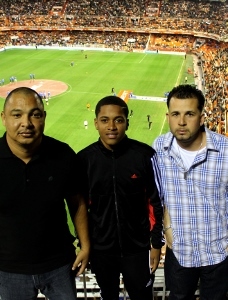 The young midfielder was accompanied by U15 and U17 National Team coach Dion Brandon and Technical Director for Youth Programs of the Cayman National Team Ardin Rivers. While in Spain, Coaches Brandon and Rivers met with the Spanish coaches and collectively the instructors evaluated training methodologies and shared enhancement tactics to improve young players. Cayman Islands Football Association President Jeffrey Webb who also happens to be president of CONCACAF encouraged Cayman’s youth team to continue to strive for excellence. “Travelling to Spain and observing Valencia was a chance for Ryan to impress the coaches as well as a chance for coaches Rivers and Brandon to experience the highest standard of youth development, which will improve their approach to the game and improve the benchmarks of what can be achieved with our young players,” he said. “We want to develop world class coaches along with good players,” Webb added. The Cayman Islands Football Association (CIFA) along with Greenlight Re, a specialist property and casualty reinsurance company, funded the developmental trip through CIFA’s scholarship and academy programme. The main aim of the programme is to provide financial assistance to national team players seeking to further their education while improving their level of football at colleges, universities or professional academies overseas. (CNS): Following the official draw which took place in Cayman yesterday evening the local women’s squad will be taking on Mexico when they play their first match of hosts of this significant regional tournament and qualifier for the women’s U20 world cup in Canada. President of the Confederation of North, Central America and Caribbean Association Football (CONCACAF) Cayman’s Jeffery Webb presided over the draw which sees the national team placed in group B where they will also ballet Trinidad and Honduras in their efforts to qualify for the semi-finals winners of which will also qualify for the world cup. The tournament will take place on Grand Cayman, over eleven-days 9-19 January next year when the women’s under-20 CONCACAF champion United States – seeded in Group A will begin the defence of their title against Costa Rica. Jamaica and Guatemala will kick off the tournament action on January 9. The two groups of four teams will participate in round-robin play over the competition’s first six match days. The top two teams from each group will then advance to the semifinals, to be played on Friday, January 17. The semifinal winners will dispute the final, and qualify directly to join host Canada in representing CONCACAF at the 2014 FIFA U-20 Women’s World Cup along with the winner of the third place match. The United States has won three of the four CONCACAF Women’s Under-20 championships to date, including the inaugural tournament in 2006, and the last edition in 2012. Canada was crowned champion in 2008. CONCACAF will host all of FIFA’s Women’s World Cup events in 2014 and 2015, starting with the FIFA U-17 Women’s World Cup in Costa Rica from March 15 to April 15, 2014, followed by the FIFA U-20 Women’s World Cup in Canada from August 5 to August 20, 2014 and culminating with the FIFA Women’s World Cup from June 6 to July 5, 2015. All tournament matches will be held at the Truman Bodden Sports Complex.